The scale is not the enemy, nor is it your friend. A Safe Place To Heal of McKinney TX can help you overcome eating disorder with therapy & counseling. We will help you fight your eating disorder struggles head on. Do you have issues with food? Do you overeat, binge or obsess over calories? Do you feel like you have no self-control at night and find yourself breaking the promises you made that morning to not overeat all day and stick with your plan? Maybe you have constant thoughts about your weight or ways to burn calories. The Eating Disorders and Emotional Eating Test will assess your eating habits. It will evaluate whether your relationship to food is mentally healthy or damaging. It will also assess whether you have tendencies towards certain documented eating disorders such as Anorexia Nervosa and Bulimia Nervosa. This page is intended to educate you on eating disorders and offer information about therapy and support. At the end of this page you will find a link to assist you in evaluating the extent to which you have a problem with food. Find a healthy environment in which you can become a more powerful, more balanced, more integrated YOU! Eating disorders affect about a half-million people at any given time. 8-10% of the female population have bulimia. 6-10% of those with eating disorders die, usually from a heart attack. 80% of the female population has dieted before reaching 18. 20% of women age 18-29 are trying to lose weight although they are not overweight. Women need a fat level of approximately 22% of the body weight in order to menstruate normally. Americans spend over $300 million a year on diet products. Most diets fail (over 90%) in the long run because healthy eating patterns have not been established. There are many health risks associated with extreme obesity, but it is not a major health hazard to be a few pounds overweight. Our bodies are biologically preprogrammed to weigh a certain amount. Each of us may have a predetermined weight “set point” that our systems automatically attempt to maintain. Sophia Loren and Marilyn Monroe could not get a job today in the film industry without going on a diet. 5’4″- 142 lb = average height and weight of an American woman. 5’9″ -110 lb = average height and weight of a model. 1 in 10,000 females naturally (without dieting) meet model thin dimensions. Every body is a good body, whatever its size and shape. Good health is not defined by body size; it is a state of physical, mental and social well-being. Dieting can make you fat. Fat-free foods may have as many or more calories than their counter parts that do contain fat. Thin does not equal fit. You can be heavy and fit. Excessive dieting can lead to irritability, depression, withdrawal, and sexual disinterest. Eating disorders are mental disorders that can have serious physical complications. These eating disorders may make normal functioning difficult and can become chronic, crippling illnesses and in extreme cases require hospitalization. There are three main types of eating disorders: Anorexia, Bulimia, and Binge Eating. These are complex disorders focusing on issues of eating, body weight, and body shape. Disordered eating can lead to an eating disorder. It is important to identify eating habits and change them before they become severe and turn into eating disorders. A person consumes a large amount of food in a short period of time (less than 2 hours), but does not engage in purging behavior. This eating is without regard to physical cues signaling hunger or satisfaction. The individual loses the power of choice over food. They are driven by forces they don’t quite understand or even recognize and they eat more than they need. This type of over eating is one of the most common eating disorders. A person will eat a large quantity of food in a short period of time. Then, the person will attempt to rid the body of the food by some method such as by vomiting, using laxative or intense exercising. This is called the binge-purge cycle. A person may have anorexia and bulimia at the same time. Both of these types of eating disorders are very dangerous and life threatening. A person actively tries to maintain an abnormally low weight through severely restricting the intake of food. There is an intense fear of gaining weight and becoming obese. A person also may engage in purging behaviors even after eating a small amount of food. Eating disorders such as anorexia are more lethal than any other mental illness. dancers, cheerleaders, gymnasts, runners, wrestlers and weight lifters. Eating disorders can have a serious and even fatal impact on the body. The mortality rates may not accurately reflect the number of people who died from eating disorders because of the long term effect on the body. Even after the person no longer has any eating disorders, the damage to the body persists. For each individual the cause of eating disorders will be different. Several broad causes have been identified including culture and family. In our culture today, thinness is emphasized. It is portrayed as key to happiness. This perception promotes poor body images which in turn may lead to disordered eating patterns and eating disorders. Other identified triggers are family dynamics and poor self-image. Dissatisfaction with Self: If I’m not perfect no one will love me. Will I every be good enough? Family pressures and concerns: Do well and be popular for them? Don’t make waves? Why don’t they notice me? Be the best to earn their love? School and Peer Pressures: Be thin to be popular. Do well so you can get into college. Everyone diets all the time. Binge with friends after classes. In our culture, physical attractiveness contributes significantly to success in the social domain. Thinness is an important component of how attractive and desirable a women is perceived to be. Social pressure to be thin likely promotes poor body images which in turn may prompt dieting efforts. What Is Your Body Image and Eating Pattern? Do you find yourself preoccupied with thoughts of food and eating? Do you eat large quantities of food in a short period of time. Have you used laxatives, diuretics or diet pills in an attempt to control your weight? Are you continuously dieting or practicing restrictive eating? Do you always feel you are “fat” regardless of other people’s opinions? Are you so dissatisfied with your body that it makes you unhappy? Are you fearful of gaining weight or becoming “fat”? 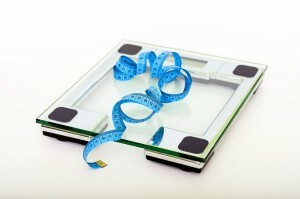 Does your weight determine how you feel about yourself? Do you eat when you get upset or stressed? Do you avoid any food that contains fat? Do you worry that someone will find out about your eating patterns? Do you feel a lack of control over your eating behavior? Do you feel self-conscious or embarrassed about eating… sneaking food or lying about eating habits? Do you compulsive exercise which means exercising several hours every day and feeling you “have to” exercise after eating? ***If you answered yes to many of these questions you might consider talking with one of our counselors. Remember, eating disorders are very dangerour. Getting help is the first step towards freedom! What Can I Do if I Struggle with Eating Disorders? Treatment of eating disorders depends on a number of factors: the person with eating disorders, the length and severity of eating disorders, and the physical health of the person. Treatment addresses the physical and psychological aspects of the person. A physical exam with electrolyte balance check is recommended. If the person has been vomiting a dental exam is important. If the person is in poor physical condition, inpatient treatment may be warranted. Individual and group therapy addresses the emotional issues. Antidepressants may be used to help alleviate immediate eating problems and mood disturbances. When the eating disorders are under control, a consultation with a dietitian is useful. A dietitian can give a new approach to eating and teach proper nutrition. You Think a Friend Battles Eating Disorders: What Should You Do? Speak up! Approach your friend gently but persistently. Tell him/her that you are worried about him/her and listen sympathetically. Encourage your friend to talk about his/her problems and feelings. Be supportive. It is the most important thing you can do. Show him/her you believe in him/her. It will make a difference in recovery. Don’t focus on achievements, instead talk about his/her inner qualities and strengths. Share your own failures and mistakes. Do not expect him/her to admit he/she has a problem right away. Give it time. Do not discuss his/her weight, eating habits or exercise habits. The starving or binge eating is not the important issue. Remember these are only symptoms of other problems. Do not make statements about weight gained or lost. Focus on mental states. Do give him/her a list of sources for professional help. Do talk to someone about your own emotions if you feel the need. An objective outsider can emphasize the fact that you are not responsible for your friend; you can only help your friend help him/herself. Be a good role model, practice healthy living. Practice new behaviors and activities, such as self improvement classes and hobbies for the early evening hours. Eat without combining reading, working, watching TV, etc. Leave your binge environment, especially when frustrated, under pressure, stressed, or bored. Begin an enjoyable task or project immediately after eating a meal. Call a friend who knows about your problem and have him/her just listen. Get enough rest and expand positive relationships. Carry food to work or school rather than buying it there. Pack healthy, satisfying food. Take deep breaths, close your eyes, picture yourself in a field or at the beach. Turn on quiet music; any method of relaxation helps. Work on your perfectionism. It is okay not to be perfect about every external matter. Getting on the scale does not help, it is what’s inside that counts. Learn your triggers, learn your danger zones.